Even if your Los Angeles DUI story wound up in the news because you did or said something ridiculous to the police or got involved in a serious or fatal accident, you probably will not get nearly as much media scrutiny for what you did as will mega-Olympian, Michael Phelps. The 29-year-old already pled guilty to a DUI 10 years ago, in 2004; at the time, the court considered him a young offender and gave him just an 18 month probationary sentence. After the 2012 Olympics, Phelps announced his retirement from swimming. But in April this year, he reentered serious training and competition with the hopes of returning to the Olympic platform again in 2016 in Rio de Janeiro. However, the DUI has thrown a kink in these plans. U.S.A. 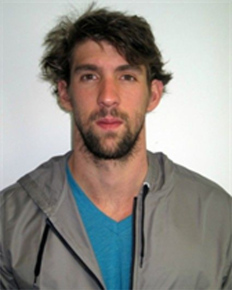 Swimming punished Phelps almost immediately for his DUI by banning him for six months from competition and forbidding him from participating in the World Championships next summer, thus making his bid to return to the Olympics more challenging and uncertain. The main takeaway from Phelps’ story is that DUI arrests can have profound ramifications for your career, your day-to-day life, and even your self esteem and relationships. The silver lining is that help is available. An effective, highly qualified Los Angeles DUI defense lawyer with the Kraut Law Group would be happy to provide a confidential and thorough consultation about your case and give you important insights into your strategic options. Call us now to set up a free consultation.